The sentiment of this one is loneliness, distance, the soft heart of this song left out in the cold. There is something in the way the guitar calls out, virtually tempo rubato, out of time with the sharp beat—it appears grieving and sorrowful, lapsing on rhythm and sounding more expressive as a result, natural in its mournful ache. This is the emotive centrepiece of 'Frust' (like 'frustration' + 'frost'?) 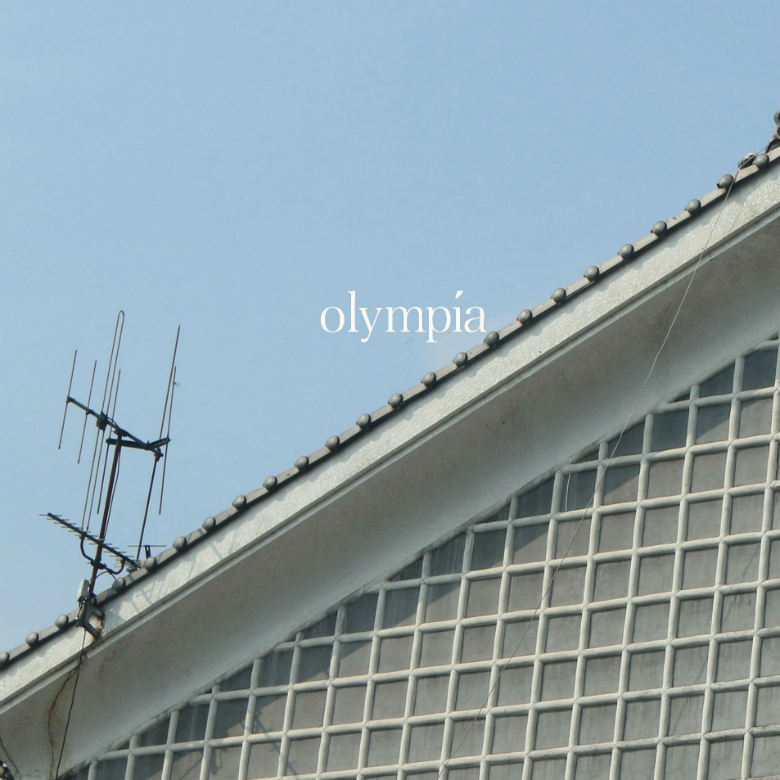 by Manila musicmaker Olympía; these soaring solo guitar snippets could well work against their synthetic counterparts in the track but in fact exhibit raw feeling juxtaposed against the smooth, glitching electronics. Whilst the echoing guitar tells its emotive tale, an intricate bed of beats spreads out, with rapid-fire thumping kicks, ticking hi-hats, delayed snare clusters and a stark click that reverbs into the downcast gloom of the frosty track. Plaintive synth chords clonk percussively muted and warm: a smooth foundation for the shards of bristling beat, the squirling needles of the guitar. Wordless vocals from Olympía add to this sense of softness. But conversely the spectre of glitch, abrasive and disruptive, pockmarks the tranquil sadness of 'Frust', preying on its chill sense of regretful acceptance – blurry at 00:31, crackling mechanical from 00:43, occasional throughout – peace disturbed by the disquiet provoked in the mind by overflowing emotions that attach one human being to another. 🔔 You can find Olympía's own back catalogue of music on her SoundCloud, alongside songs she's featured on with fellow Manila artists like aries and crwn.